"The primary mission of the Massie Township Volunteer Fire Department is to provide a full range of services designed to protect the lives and the property of the inhabitants of Massie Township and the Village of Harveysburg from the adverse effects of fires, sudden medical emergencies, or exposure to dangerous conditions created by man or nature. The Massie Township Volunteer Fire Department will strive to maintain and improve the quality of life of all who live, visit, work, or invest in the communities in which we respond. Proudly serving the Village of Harveysburg, Massie Township, and surrounding areas in Warren County, Ohio, the Massie Township Fire Department would like to thank the citizens for their support and we pledge vigilance in providing quality Fire Protection and Emergency Medical Services." Don and his new bride, Chris, moved to Massie Township in June 2016. He has two adult daughters, one of which is a Dayton firefighter/EMT. Don got his start in the fire service as a cadet in 1979 with Liberty Township, Butler County Ohio. 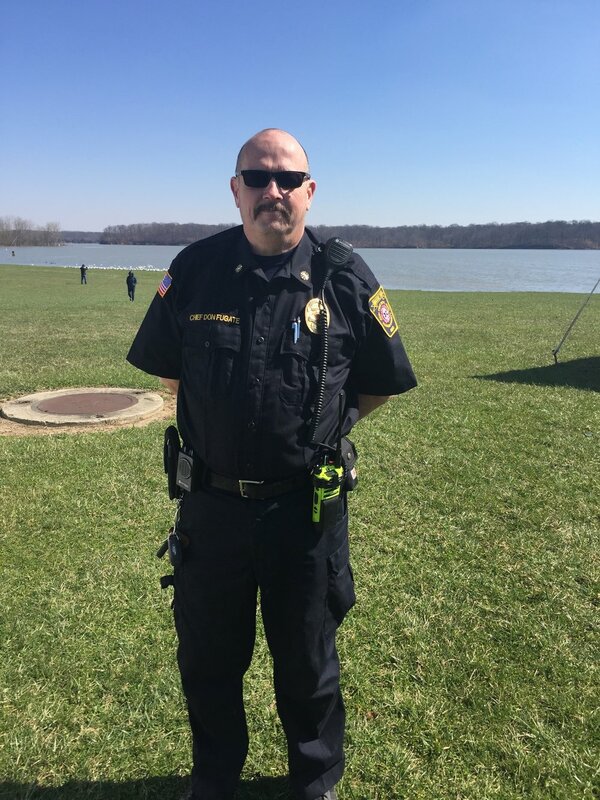 His experience includes being a training officer, a lieutenant at several departments, and captain at several departments. He has also worked in private industry with emergency response teams. In their spare time, Don and Chris are involved with Feeding the Homeless, veterans support groups, and Special Olympics. Don is happy for the opportunity to bring his experience and serve the community of Massie Township. To request permission to burn, please contact Warren County Dispatch at 513-695-2525. They will then contact Fire Department Personnel, who will be in contact with you ASAP.